Science fiction romance is a niche subgenre and therefore requires a variety of tools in its arsenal to increase its visibility. Readers can’t read books they don’t know about. 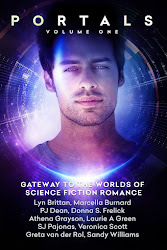 There are a variety of ways to connect readers with sci-fi romance stories, and these days quite a few can be accomplished from the comfort of your own living room (or bedroom, or home office, or kitchen table as the case may be). One such strategy is SEO. This is a term that’s bandied about often, but what exactly is it? How can authors of science fiction romance benefit from using it? With those questions in mind, I invited author Lindsay Buroker (ENCRYPTED) to present some information about SEO in the form of a Q&A. Ms. Buroker runs a highly resourceful blog about “e-publishing, ebook marketing, and blog promotion for authors.” She makes it her business to uncover and feature strategies authors can use to broaden their online presence. Such methods are essential in the age of ebooks. Given the plethora of digital sci-fi romance releases, authors need every advantage they can get. There have been many useful initialisms over the years, eg., M.Y.O.B., B.Y.O.B. Now, with the rise of the Internet, we have “SEO.” What does it mean? · Instances of those keywords on a webpage or blog post (i.e., if the keywords are used in the title, text, and the web address). · Links from other sites, especially links that use those keywords in the “anchor text” (the clickable underlined words). You can play around with something like the Adwords Keyword Tool to get an idea for which phrases are searched for more often. Once you decide which keywords would be applicable to you, consider making an effort to use them on your website or blog (just focus on one term per post). This alone will put you ahead of lots of other authors! Please list more than one but less than 5,000 of the most successful SEO strategies an author can use. For the purpose of this interview, I’ll assume your goal is to get more people to your blog (people who might just go on to buy your books). That way I can keep the strategies list to under 5,000. Maybe even under 4,000! If you haven’t chosen a domain name (a yourcoolname.com address) yet, you may want to work your main keyword into it, especially if your name is already taken. An example might be janedoemysterynovels.com or janedoesfromance.com. Don’t go crazy with the keywords, though, or do anything too long as you want people to be able to remember your web address. If you visit my fantasy author site (see me working those keywords into that link? ), you’ll see that I didn’t use my keywords in my domain name. People generally have a tough time spelling my name correctly, so I didn’t want to add anything extra (also, it’s an original enough name that the domain wasn’t taken), but you’ll see that I do have “fantasy author” in the page title. I just point this out, so you know the final decision is up to you. Do what you feel makes sense and looks good to you. In addition to thinking about SEO for your site overall, you’ll want to pay attention to individual blog posts. Each article is a potential doorway onto your site, so you may want to consider using keywords here too (not necessarily the same ones you’re using for your blog in general but ones that make sense for the specific post). For example, say you’re reviewing Linnea Sinclair’s Accidental Goddess. A lot of bloggers would choose a title like Sinclair Serves up Another Winner. That’s okay, but if someone does a Google search looking for “Linnea Sinclair Accidental Goddess Reviews,” then you’re a lot more likely to pop up if your title is something like, “Linnea Sinclair An Accidental Goddess – Review.” (You can add more words to give it flair, but the idea is to use the words people would most likely look up in your title and the text of your post. Okay, that was a lot of information. Are you still with me? Don’t worry, we’re halfway through this question. Progress! This is the other half of the battle. Back in ye olde days of the internet, you could just fill a page with lots and lots of instances of a keyword in order to rank more highly for it. The search engines have since wised up. They figure that links to a site count as votes of confidence. People usually link to things that are useful, so the more links to a site, the more likely search engines will consider it an authority and rank it accordingly in their index. Also, links from older, more authoritative sites count more than links from lowly sites with no visitors of their own. How soon can an author using these strategies expect results? Blogs, even SEO-friendly blogs, take a while to take off. That’s common for everyone. I started my author blog back in November of 2010 when the notion of self-publishing first entered my head. I remember taking a tally in February, and I’d sold 8-10 of my ebooks through my blog over the course of the month (I use Amazon affiliate links to track sales that originate on my blog—and make a few extra pennies), and I had about 1500 visitors that month (I was working the social media angle, especially Twitter, or I wouldn’t have had nearly that many). It’s the end of September as I write this, and I’m up to about 6,000 visitors a month with many of those coming from links from other sites and even more from keyword searches. 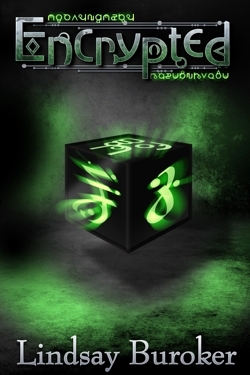 It’s pretty common for me to have two or three of my ebooks sell through my blog a day now. Of course, a lot more books sell through other means, but it’s nice to know my blog is somewhat effective! I also sell other people’s books as an Amazon affiliate (but making money with one’s author blog is a subject for another post!). The point is that it takes time for a blog to take off. SEO helps, but it’s not magic. You’ll probably notice a gradual increase of blog traffic over the first six to twelve months, and then you’ll have to worry less about promotion because lots of people will know about your site and link to your new posts of their own accord. I should note that you don’t have to blog. If all you want to do is maintain a static author website with a few pages, just figure out which keywords you want to target (you can use the Adwords tool I mentioned above) and build your pages so that those terms appear in the title and content. I love to bake, but one time I forgot to add the sugar in a muffin recipe. Oh, the culinary mortification! That said, are there any SEO mistakes authors should avoid? What’s a muffin without sugar taste like? Bread? Oy, it wasn’t even that good! As for mistakes, yeah, don’t do anything that sounds shady or too good to be true. Out in the SEO world there are “black hat” and “white hat” techniques. The black hat stuff can work in the short run until it gets you penalized and kicked out of the search engine index altogether. I doubt many authors are going to stumble into that stuff, but just be wary of buying SEO services (especially off a site like Fiverr or some such). Since, by nature, you like to write, you’ll do fine just doing the stuff I mentioned. Producing good, quality content gets you a long ways! Are there any free online SEO tools authors can use? I already mentioned the Adwords tool, and here’s someone’s video on how to use it (someday I’m going to make one of my own, but this is a nice little demo). Don’t bother paying for any keyword research tools. That’s for folks who do this as their day job and work for dozens of sites in highly competitive areas. Depending on which browser you use (i.e. Firefox or Google Chrome), you can download an SEO plug-in that shares stats about the websites you’re visiting (such as the Alexa Traffic ranking or the Google PageRank – measures of a site’s popularity and authority). This information can be useful when you’re deciding where to spend your time guest posting--remember links from more established, authority sites will count for more). That’s going above and beyond the call of duty though. You’ll be surprised how few authors are even writing blog posts with decent titles, so doing even a little SEO work could get you to the top for your genre. Do you know any SEO jokes? How often does a search-engine-optimization specialist get laid? Yeah, about as often as you’d think. Okay, I’ll keep the day job. Hm, yes, er…moving on. Is there anything else authors should know about search engine optimization? Lindsay is a full-time indie author who's been making a living online, one way or another, since 2003. Blogs and SEO were a big part of that! You can visit her official fantasy author site to check out her books or read the articles on her new self-publishing blog to learn more about book promotion and (don't get scared now) SEO. Most of what's there is applicable to traditionally published authors as well as indies. We all have to promote! Great information! I recently took a class at The Romance Studio on SEO and still figurine git out! Thanks so much! Thanks so much Lindsay and Heather. Thanks for sharing this information! Plus, sexay graphics. Thanks for the info...and the eye candy rocked!